Most of the time we booked accommodation as we went. For Kuala Lumpur we booked before we'd even left the country even though we wouldn't get there for another three months. I wanted to share how I managed to stay in such a great apartment so cheaply. Really there is no secret. We just researched and booked ahead of time. But here are some tips I've learnt from booking accommodation in Kuala Lumpur. Air B n B is so great for finding cheap or reasonably priced places to stay. 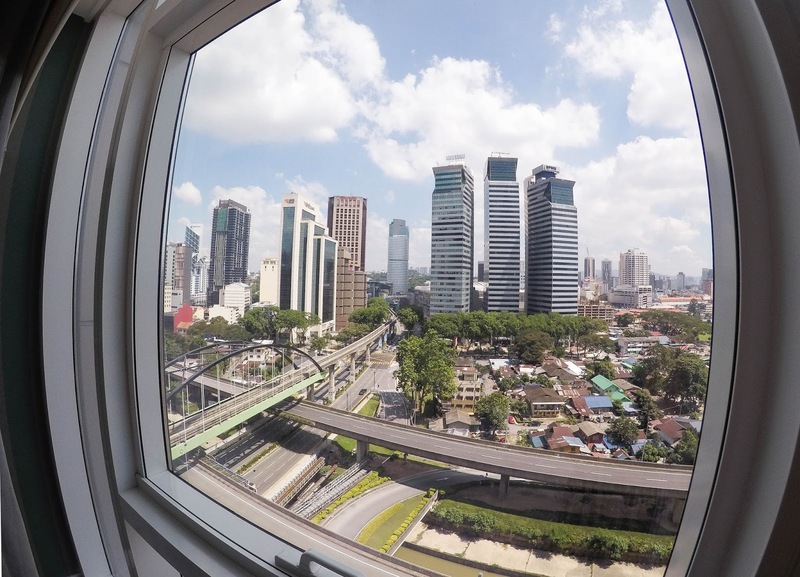 There is plenty of reasonably priced accommodation in Kuala Lumpur on Air B n B. Most of them are apartments in residential blocks such as the one we stayed in, the Platinum Face Suites. 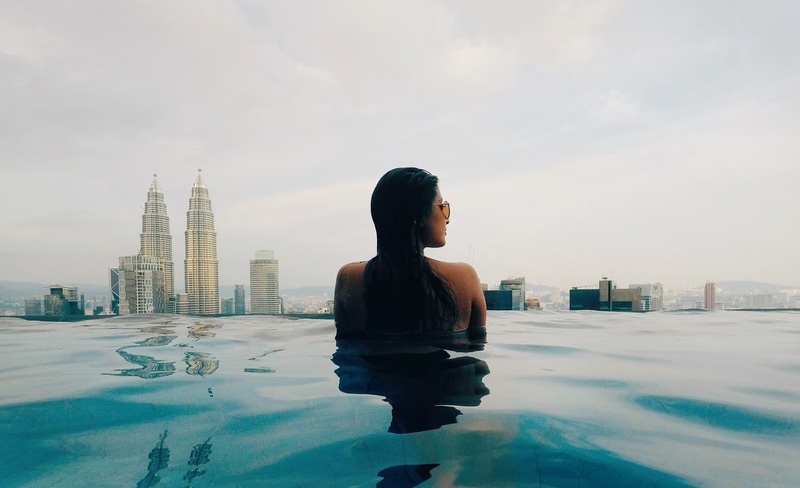 If you've ever seen a picture of an infinity pool with the Kuala Lumpur skyline as a backdrop then the person most likely stayed at the suites. I think there are people who live here as residents but a lot of the apartments are advertised on Air B n B for holiday makers. Tip: You can usually find plenty of apartments or villas but when looking for accommodation in places like Thailand you usually also find hostel or budget hotel rooms. If you're wanting to compare room prices on websites such as Booking.com and Agoda it's worth having a quick look on Air B n B as well. It's good to know your budget before you start looking on Air B n B. Otherwise you might find the perfect accommodation then realise that it is way over your budget. Trust me this can happen a lot. Narrowing down your search for accommodation within your budget will mean this won't happen and you won't have quite so many pages to look through. Tip: You can get money off your next booking by referring a friend or family member. Unless you're like me and have already exhausted this method! If you're only visiting Kuala Lumpur then this will be easy to do. You'll have the exact dates and will want your accommodation to be organised before you leave for your trip. If you're backpacking multiple destinations or even Malaysia this becomes a bit more difficult. I knew the end date of my trip and did a lot of planning to make sure I could fit everywhere I wanted to go into my time frame so I had an idea of the dates we'd be in Kuala Lumpur. 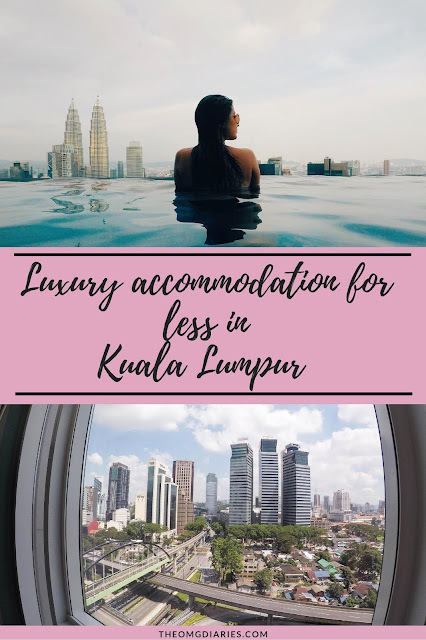 We were flying in and out of Kuala Lumpur meaning we had to book flights, once these were booked we had exact dates so decided to book the accommodation too because, unless something disastrous happened, we'd be in Kuala Lumpur for those dates. Looking through pages of apartments on Air B n B starts off fun but after three pages of the same sort of apartment it gets a little boring and repetitive. However, research is key. There were cheaper apartments but once you clicked on them and looked at the photos you soon realised they were nowhere near as nice as some of the other apartments. There was also a range of different types of sleeping arrangements from studio apartments to ones with separate bedrooms. While I'm not that fussy when it comes to things like this it was something to consider because there were four of us. While the studios said they slept four they didn't look very spacious and when there's only a few pounds difference between the apartments it's worth getting separate rooms. Knowing where the apartment is located is also something to factor in. A lot of the apartment blocks aren't completely central. However, this wasn't an issue, especially when it was so affordable. The metro is very easy to use and tickets are a fair price so we were able to get into the city easily. The apartment we stayed in was only a ten minute walk from the Petronas Towers. There's also a shopping centre here and a metro station. This is a link to the apartments our host owns. I couldn't find the exact apartment we stayed in but they're all still very reasonably priced apartment we stayed in. The one we stayed in worked out to be £15 a night per person which is similar to some of the hostels I stayed in. There was also a washing machine which was rather handy for catching up with washing. This isn't a sponsored post but I'd recommend the apartment to my friends and family as well as my blog readers. It was clean, spacious and had a variety of free films and tv shows to watch, when you're not out and about exploring the city of course! How do you find accommodation for your trips and what are your favourite tips for cheap accommodation?